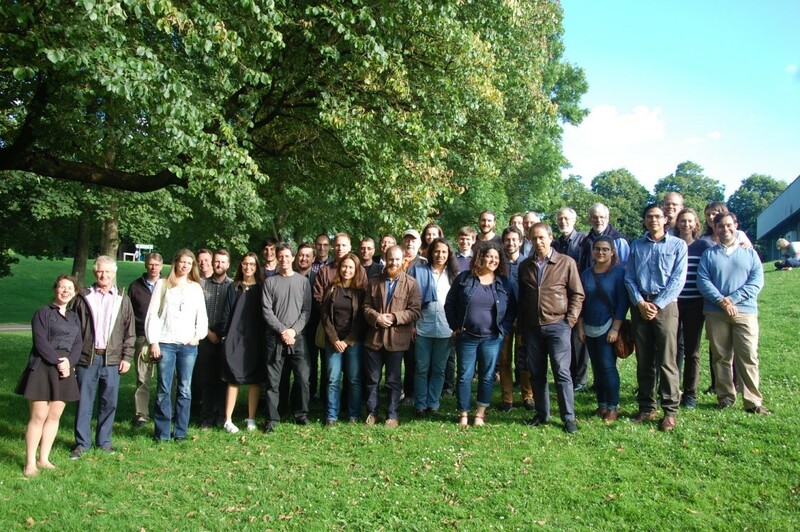 Over 40 economists, engineers and social scientists converged last week on the sunny University of Sussex campus for the second International Exergy Economics Workshop. Organised by the Centre on Innovation and Energy Demand (CIED) and the Centre on Industrial Energy, Materials and Products (CIE-MAP), the workshop was a chance for researchers to come together to share knowledge, discuss progress, and initiate future research collaborations in exergy economics. Exergy economics is a nascent and heterodox approach to studying energy use within the economy. It is differentiated from conventional energy economics in its use of useful exergy as a measure of the quantity of energy flows, as opposed to the more conventional indicators of primary or final energy. Participants who took part in the Exergy Economics workshop 2016. But what is useful exergy? For an in-depth explanation, see the exergy economics website. In brief, exergy is a measure of the ability of an energy flow to perform physical work, a form of energy which is of a very high thermodynamic quality. Thermal energy – heat – is of an intrinsically low quality, in the sense that it cannot be fully converted to other energy forms, such as electricity. Whereas energy cannot be created nor destroyed – merely converted from one form to another – exergy can, and is, dissipated (destroyed) in every real conversion process. Simply adding together thermal and kinetic (motion) energy on a like-for-like basis is equivalent to adding apples and oranges. This fact has implications for the consistency of macro-level economic studies on energy use. As an example, consider a can of kerosene within an insulated room. When burned, this slightly raises the room temperature, although the total amount of energy in the room is conserved. The quality of the energy, however, has diminished. In the form of heat it is less able to perform physical tasks (such as moving a car) than the initial chemical energy in the fuel. This is because the exergy which was initially present has largely been destroyed. The second distinct aspect of exergy economics is that rather than the primary or final stages of the energy chain, it is the useful stage – the output of end-use conversion devices such as cars, furnaces or space heaters, for example – that is focused upon; hence the term useful exergy. Although it’s more difficult to estimate the useful energy (or exergy) output of these devices at the national level, it is useful exergy that is required to fulfil the need for society’s energy services (personal and freight mobility, illumination, thermal comfort, etc). Whilst the burgeoning exergy economics literature is complementary to more conventional energy economics, it can potentially provide interesting new insights. In particular, evidence has emerged suggesting that useful exergy consumption provides a much larger contribution to growth in economic output than is implied by its small “cost share” (i.e. the share of national accounts representing payments to the energy sector). This possibility raises implications for the feasibility of easily achieving decoupling of energy consumption from economic growth, and in turn the ability to achieve carbon reduction commitments alongside continued growth in output. What are the strengths, weaknesses and state-of-the-art in exergy economics research? What are the conflicts and synergies between exergy economics and mainstream economics? What are the contributions of exergy economics to climate change and sustainability analysis? What are the potential policy implications of this work? Which future research directions in the area appear most promising? The link between useful exergy, energy services and human well-being: Whilst useful exergy has to date been a valuable way of describing the energy system from primary to useful stages, there is also promising potential for the field in describing the relationship between energy services (e.g. thermal comfort, transport and illumination), material services, and human well-being. If we can define a level of services needed for well-being – cooking requirements in a developing context, for example – what are the commensurate useful exergy (and thus primary energy) needs, and, in turn, what environmental impacts can be expected from this? A number of researchers are currently examining these links using an interesting variety of epistemological frameworks. New insights into suppressing the environmental impacts of energy use: The concept of energy and material efficiency is at the centre of useful exergy analysis. Analysing energy systems from an exergy point of view can help us to locate the ‘low-hanging fruit’ of efficiency improvements and reduce carbon emissions. Furthermore, what are the policy implications for carbon reduction commitments if it is more difficult to decouple energy use from economic output than previously thought? Lastly, exergy may provide a basis for measuring the scarcity of a natural resource; given resource depletion concerns, how might we harness this to consider shifting taxation away from capital and onto environmental degradation? The relationship between energy use and economic output: As mentioned, there are already some very interesting insights emerging using exergy analysis. But how might this area of research be extended? Different measures of output, new models, and a greater focus on the role of money and finance were all discussed. Moreover, how does the community reach out to mainstream economics more effectively? Michael Kumhof, director of research at the Bank of England, presented a fascinating plenary to the attendees on the significant role that energy (and particularly oil) plays in economic output. In all, the workshop was very successful, and participants came away with an enhanced understanding both of the critical environmental issues facing society today, and of one technique for understanding them. Of course, as humble interdisciplinary researchers, we acknowledge the limitations of any one method of enquiry for solving a plethora of complex societal issues. But we believe that exergy economics has great potential for providing us with insights both new and exciting. For more information on this event, as well as exergy economics more broadly, visit the exergy economics website.